If you have missing teeth or are unhappy with your dentures, dental implants provide an excellent alternative to removable dental prosthetics and other traditional options for replacing missing teeth. Dental implants are artificial tooth roots that are surgically placed into the upper or lower jawbone. Implants are strong and durable and allow your smile to look completely natural. At Westchester Dental Group, we only use the state-of-the-art tools and digital equipment when working with dental implants at our White Plains, NY dental office. Our goal is to restore the aesthetic beauty of your smile, while providing you with comfortable and stable teeth. Our office is proud to offer implant-supported dentures, all-on-four permanent dentures, and implant-supported bridges so you can feel and look younger and healthier. If you’ve already invested in a dental implant and are noticing wear and tear on your dental crown or bridge, we restore dental implants so they look good as new. When you come in to our White Plains office for your implant consultation, Drs. Teich and Langstein take digital x-rays and impressions of your smile -- this will determine bone density, gum tissue health, and spacing available for the implant, in order to pick the ideal location for placement. The implant will then be surgically placed into the bone and allowed to heal, during which time it will integrate with bone in your jaw and provide a strong base for the rest of your restoration. After your dental implant has healed and integrated, your replacement teeth are made and fitted. 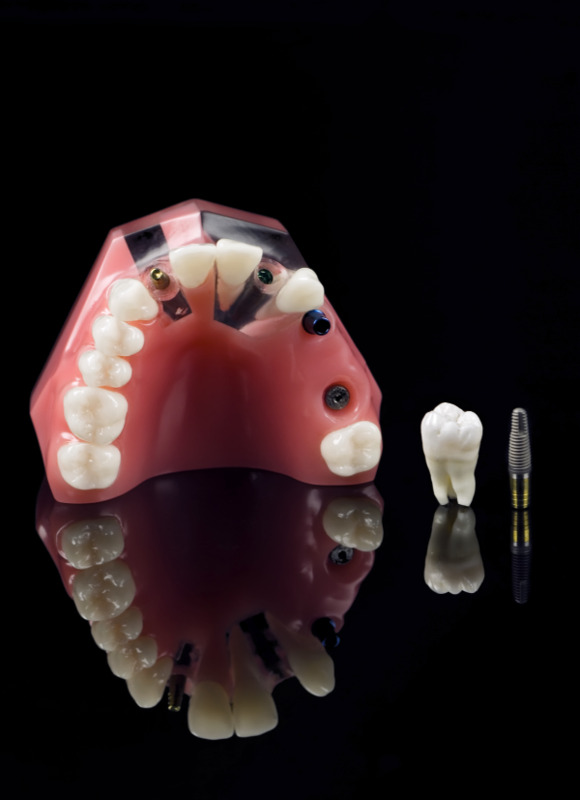 Dental implants can support dentures, bridges, or even a single dental crown. Once in place, you’ll have a restored smile with renewed bite function. Ready to Learn More about Getting Dental Implants in White Plains? Whether you are missing a single tooth, or are dealing with multiple missing teeth and even total tooth loss – we can help. Drs. Matt Teich and Ira Langstein are trained and skilled cosmetic dentists who are able to utilize dental implants to help you get a beautifully restored smiled. They have both completed extensive post graduate training, lecture for major implant companies -- as well as teach -- and have been published on dental topics. Our office’s comprehensive approach to dentistry involves treating the whole, not just the individual teeth, so you can enjoy truly improved oral health and aesthetic. Schedule your dental implant consultation by calling Westchester Dental Group to learn more about smile restoration with dental implants.